Among all forms of high blood pressure, the most known is essential hypertension, which can develop at any age. In complex cases, the disease leads to serious complications, which significantly impair the quality of life of the patient. As practice shows, it is most effective to treat essential hypertension in the early stages of its development. Hypertension, which is chronically high blood pressure, is one of the most common health problems. Hypertension usually does not cause symptoms, so it is not always diagnosed in the early stages of development. This is the leading cause of heart attack, stroke, kidney disease and other serious medical problems. The widespread and clinical importance of hypertension has led to the fact that everyone should periodically check their blood pressure (BP). If you determine hypertension, you need to work closely with your doctor to find effective treatment. Essential hypertension (hypertensive disease) requires rather difficult and long-term treatment. The emergence of pathology can occur for no apparent reason, and it is quite often defined in both adults and children. Video: What is the essential form of hypertension? In most people who are diagnosed with hypertension, symptoms develop only when the condition worsens severely enough to cause harm to health. In many cases, the first sign of hypertension is a sudden heart attack or stroke. That's why hypertension is often called a "silent killer." Hypertension of the 1st stage: systolic pressure from 130 to 139 mm Hg. Art. or a diastolic pressure of 80 to 89 mm Hg. Hypertension of the 2nd stage: systolic pressure higher than 139 mm Hg. Art. or a diastolic pressure of more than 89 mm Hg. Prehypertension is a blood pressure that is higher than the desired range, but not high enough to be diagnosed with hypertension. With prehypertension, the systolic pressure is 120 to 129 mm Hg, and the diastolic pressure is less than 80 mm Hg. The ideal indicator of blood pressure ("cosmonaut pressure") is 120/80 mm Hg. Art. In severe cases, the symptoms of a heart attack or stroke that predominate against rapidly progressive essential hypertension predominate. The pressure created by the contraction of the heart forces the blood to move forward and stretch the elastic walls of the arteries. Between cardiac contractions, when the heart muscle relaxes, the arterial walls take their original form, pushing blood forward to various tissues throughout the body. With hypertension, the pressure in the arteries is so great that eventually there is damage to the blood vessels with all the ensuing consequences. Primary hypertension develops without a known cause, so in clinical practice it is still known as hypertensive disease. In contrast to essential hypertension, the secondary form occurs against the background of other diseases, which in such cases are considered basic (diabetes mellitus, heart failure, kidney diseases, etc.). The overwhelming majority of patients are determined by hypertension. Women often develop hypertension after menopause. In this case, hypertension is more common and is more serious in African Americans and among people with adverse heredity. Unlike essential hypertension, the secondary form of the disease can be caused by kidney pathology, sleep apnea, coarctation of the aorta, blood vessel disease that supplies the kidneys, as well as various endocrine gland disorders and the use of oral contraceptives. 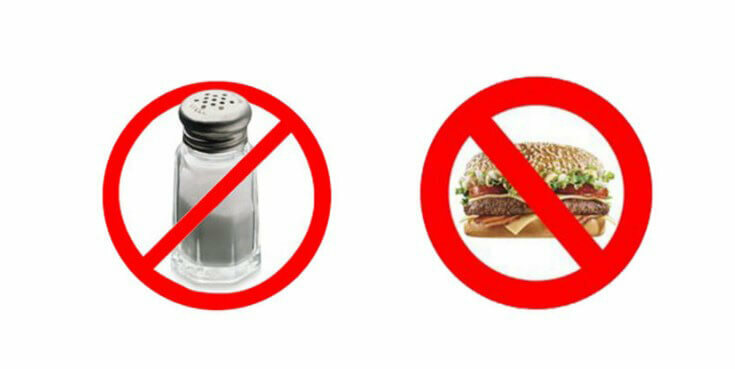 It is important to know that excessive intake of salt is the leading factor in the development of hypertension in many people. Both forms of hypertension develop more rapidly if a person smokes; consumes alcohol more than two servings per day, chronically uses non-steroidal anti-inflammatory drugs (NSAIDs) or antidepressants. Hypertension is diagnosed when high blood pressure is detected at rest. Measurement of blood pressure is expressed as two indicators, systolic and diastolic blood pressure. These data are reported as two numbers, which are indicated by a fraction: for example, 120 mm Hg. (systolic) / 80 mmHg. (diastolic), or, more simply, 120/80. Systolic blood pressure is the pressure inside the artery at the time of contraction of the heart.Diastolic blood pressure is the pressure between the heart contractions during the period of heart relaxation. The official recommendations on the measurement of blood pressure show that this procedure should take place in a comfortable temperature environment. Before measuring BP, the patient should sit quietly for at least five minutes. In this case, before the diagnosis (for at least 30 minutes) you can not take coffee or smoke. At least two measurements of blood pressure should be performed under these conditions in about five minutes. The measurements should be repeated until the results obtained coincide with an accuracy of 5 mm Hg. Art. If the patient is worried or stressed during the measurement of blood pressure, there may be a so-called "white coat" hypertension. 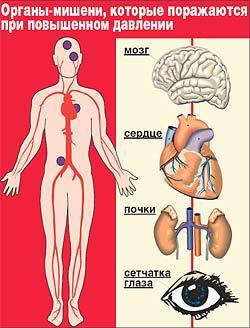 In this case, the blood pressure values ​​will be high in the doctor's office and almost normal in any other place. Treatment of this form of hypertension is most often not carried out. In addition to checking blood pressure, a physician can carefully examine the medical history, perform a physical examination and prescribe laboratory diagnostics, including a blood test. Further research may be required if the doctor suspects a secondary form of hypertension. 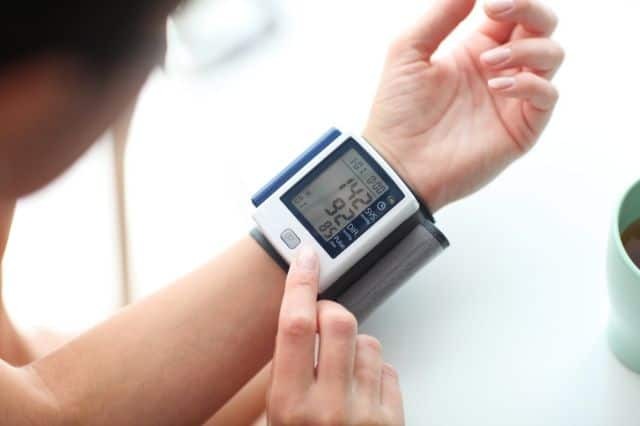 Blood pressure monitoring can be performed using home devices, which are intended for this purpose. Often they measure blood pressure during a 24-hour or 48-hour period. This allows the doctor to determine the average blood pressure reading, which is considered more accurate than the results obtained in the doctor's office, even if three measurements were taken. Accumulated evidence to date confirms the reliability of this approach to measurement of blood pressure. 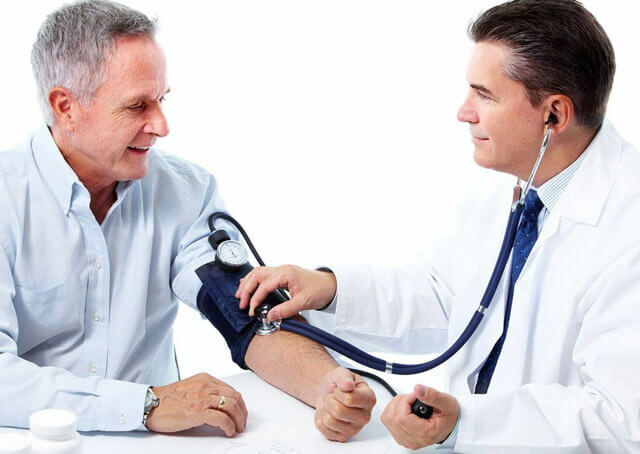 Determination of fluctuations in blood pressure throughout the day and more allows you to establish a diagnosis according to the type of labile hypertension, which in some cases is essential. Also this form of hypertension can be the result of improper selection of a drug, it is a hypertension of a "white coat" or arise due to physiological changes that affect blood pressure. In such cases, blood pressure monitoring can help to clarify the genesis of this problem. less than 150/90 mm Hg. at the population in the age of more than 60 years. The American College of Cardiology / American Heart Association (ACC / AHA) recommends a BP target of less than 130/80 mmHg. for adults, regardless of age, with confirmed hypertension and known cardiovascular diseases, or a 10-year atherosclerotic risk of developing cardiac and vascular pathologies (using ASCVD risk assessment) 10% or more. For adults with confirmed hypertension without additional markers of an increased risk of cardiovascular disease, a target BP of less than 130/80 mm Hg can be delivered. For patients over the age of 60, the JNC 8 guidelines recommend pharmacological therapy for lowering blood pressure at BP above 150/90 mmHg. The joint leadership of the American College of Physicians and the American Academy of Family Physicians recommends that treatment begin in adulthood ≥60 years and with a sustained systolic BP greater than 150 mmHg. to achieve a target systolic blood pressure of less than 150 mm Hg. This reduces the risk of sudden death, stroke and heart attacks. Decrease in sodium intake (no more than 1.5 g / day). 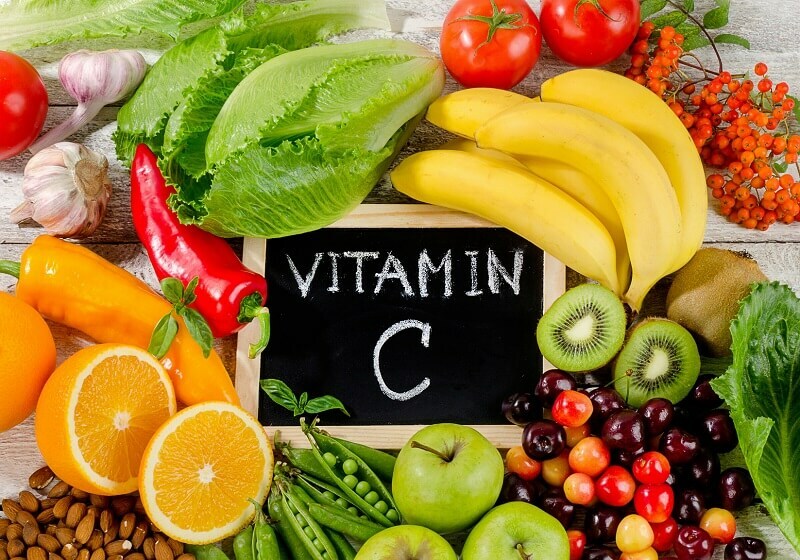 Potassium supplementation (3,5-5,0 g / day): preferably by using a potassium-rich diet, if it is not contraindicated in chronic kidney disease or using a drug that reduces the release of potassium. Dietary nutrition, suitable for stopping the progression of hypertension (DASH-diet). Most often it consists of 8-10 servings of fruits and vegetables a day, whole grains, low-calorie proteins with low fat content. Maintaining the physical form, in particular the waist circumference, should not be more than 102 cm for men and 88 cm for women, while weight loss by BMI is determined to be within 25 kg / m². Limited consumption of alcohol: no more than 20-30 grams of alcohol per day for men with hypertensive disease and not more than 10-20 grams of alcohol per day for women with hypertension. The total weekly consumption of alcoholic beverages should not exceed 140 g for men and 80 g for women. Recommendations for lifestyle changes should be given according to the diagnosis, with other therapeutic measures also needed to be carried out. Before starting the exercise program, patients should discuss with their physician a plan for their conduct. Diuretics: thiazide (or thiazide-like), hydrochlorothiazide, chlorthalidone. Inhibitors of indapamidase: lisinopril, enalapril, captopril. Angiotensin II receptor antagonists: candesartan, irbesartan, losartan, valsartan. 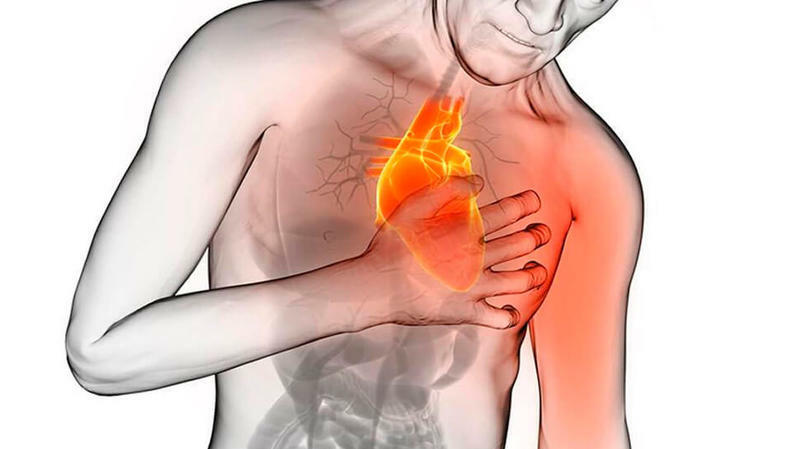 Beta-blockers are not recommended for the treatment of hypertension of the first line, except for cases of coronary artery disease, myocardial infarction or atrial fibrillation. These antihypertensive drugs are typical examples from each class. Some of these agents are available in fixed-dosage formulations. These single-dose pills make it possible to simplify the dosing schedule and improve the achievement of therapeutic effect. To treat hypertension in very elderly patients is rather difficult, especially in accordance with the usual goals of AD. 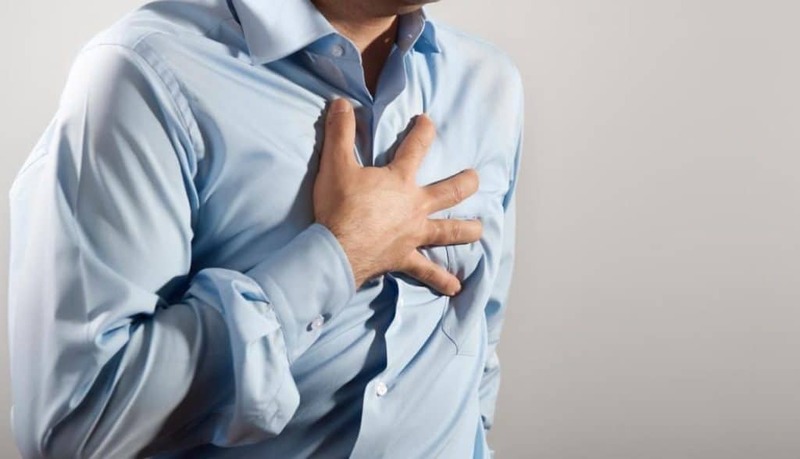 Such difficulties are associated with a number of reasons, including fears about the risk of severe pressure drop, interactions with other medicines, side effects and lack of benefit in reducing mortality. The ACC / AHA Guidelines for 2017 recommend a target systolic pressure of less than 130 mm Hg for outpatient elderly patients. Art. For elderly people over the age of 65 with hypertension and a high burden of comorbidity and limited life expectancy, clinical judgment, patient preferences, and a group approach to risk / benefit assessment, it is prudent to make decisions about the intensity of blood pressure reduction and the choice of antihypertensive drugs. Accordingly, European recommendations in elderly people with systolic BP more than 160 mm Hg. it is necessary to lower the index to the target blood pressure level from 150 to 140 mm Hg. The index is less than 140 mm Hg. can be considered for the elderly under the age of 80, whereas systolic blood pressure should be adapted to the individual tolerability of the elderly patient. The JNC 8 guidelines recommend starting pharmacological therapy in patients older than 60 years with systolic blood pressure greater than 150 mmHg. or diastolic blood pressure more than 90 mm Hg. Art. Therapy of pregnant women, suffering from essential hypertension, is handled by an obstetrician specializing in similar patients. Complete control of the course of hypertension. Organization of treatment of hypertension on a combination of drugs. Regular check of blood pressure level under the supervision of a medical worker. 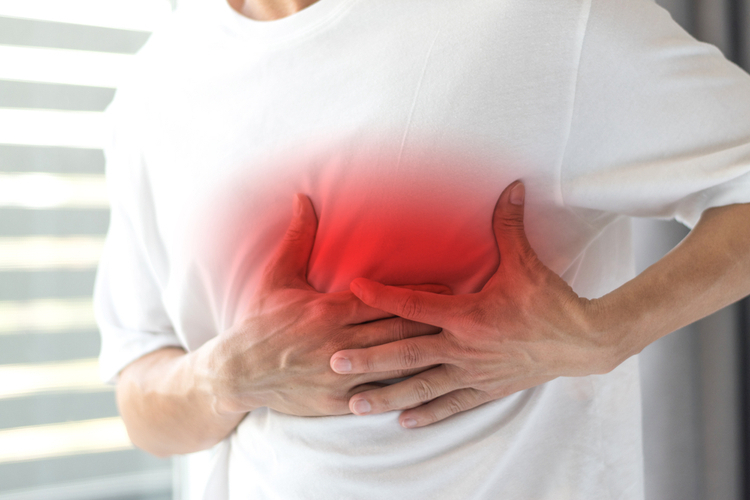 Angina can occur against a background of various conditions, including hypertension. This combination often causes a number of serious complications that can lead a patient to prolonged suffering. 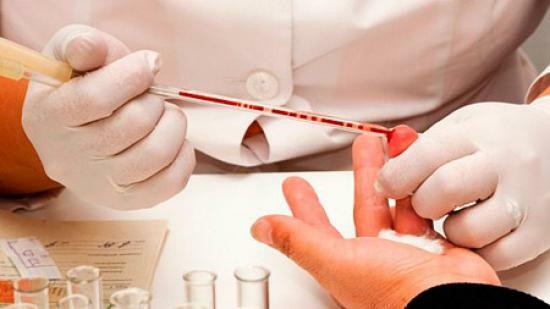 Timely diagnosis and proper treatment can help avoid it. 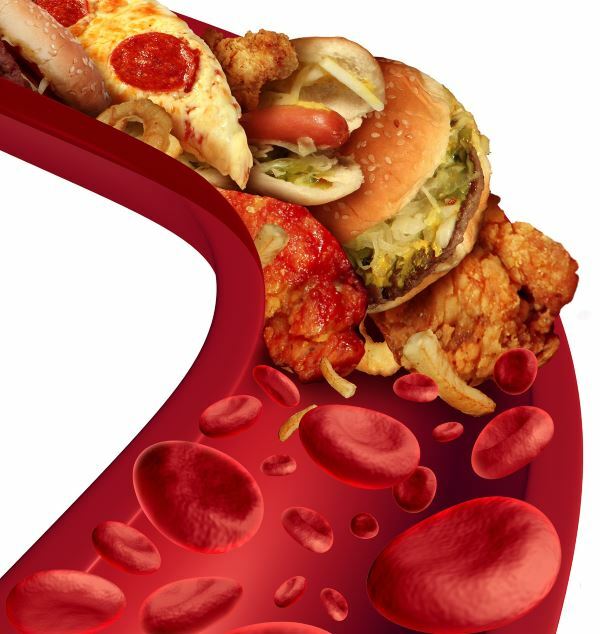 Many people around the world are suffering from an illness such as arterial hypertension. Other common names of the disease are hypertension, hypertension, hypertension. Unfortunately, such a pathology is very often determined in pregnant women. With timely treatment it is possible to improve the condition of patients and to prevent serious complications.